Ragnar Zolberg has been making music for his whole life. 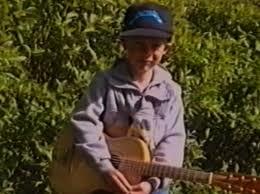 He picked up his first guitar aged 2, started writing songs aged 4, and hasn’t looked back since playing his first real show when he was just 7 years old. His talent inspired, recognised, and nurtured by his father, Ragnar recorded his first album at 11 years old. 14-year-old Ragnar started the hard rock band Sign in 2001 and after releasing two albums, received nominations as The Brightest Hope at the Icelandic Music Awards and plenty of radioplay as well as a good fanbase in Iceland. Following his father’s death to ALS, Sign released an English-language album, Thank God For Silence, and proceeded to tour the UK with The Wildhearts, Wednesday 13, and The Answer. Since 2008, Ragnar self-recorded and independently-released another solo album, playing all the instruments himself. While he joined Swedish prog-metal band, Pain of Salvation in 2012, he also created three more solo albums in the same manner – on his own. While his time in Pain of Salvation began after Ragnar’s wife sent in an application without his knowing, he passed every audition, learned every song (on his baby nephew’s mini-guitar), and went on to tour Europe, the Americas and the Middle East with the band, lending his songwriting talents along the way. The title track from acoustic album Falling Home came from Solberg’s first offering and it was the beginning of a two-year writing relationship with Daniel Gildenlow that resulted in 2017’s critically-acclaimed In the Passing Light of Day. The first single, ‘Meaningless’ is a reworking of an old Sign song, ‘Rockers Don’t Bathe’. During his last tour with Pain of Salvation, Ragnar spent his downtime writing new material. As usual he was writing for himself and drawing its roots from traditional Icelandic music and folklore as well as heavy metal and romantic classical music. Produced by renowned Swedish metal producer Daniel Bergstrand (In Flames, Meshuggah, Behemoth), the new album, Sonr Ravns sees Ragnar’s signature wailing vocals mixed with deep beats and gentleness in a brooding and organic mix of melody, heaviness, and folk. Ragnar has worked with the likes of Ken Thomas (Sigur Rós), Mark Plati (David Bowie), and Earl Slick (John Lennon) over the years. He has shared a stage with his heroes Skid Row and KISS. He has received a gold disc for 100,000 records sold in the UK after appearing on a Kerrang! magazine compilation in the illustrious company of Metallica, Avenged Sevenfold, Machine Head, and Dream Theater. Tomorrow PoS will be playing in my country Chile. I really like them, but of course I will miss your voice. You showed me a new way to play heavy metal and that made me to be a fan of yours. Keep going, i will be waiting to listen your voice and strings.